Where are the page numbers? Page numbers can be found in two places. 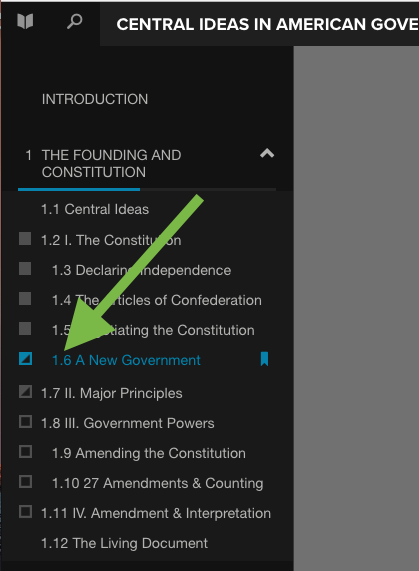 To navigate to any page, find it in the Table of Contents and click on it. Rather than numbering that starts with 1 and goes up from there, our page numbers also indicate which chapter the page can be found in. Page number 1.6 means you’re on page 6 of Chapter 1. Page number 2.4.1 means you’re on the first section of the fourth page in Chapter 2. 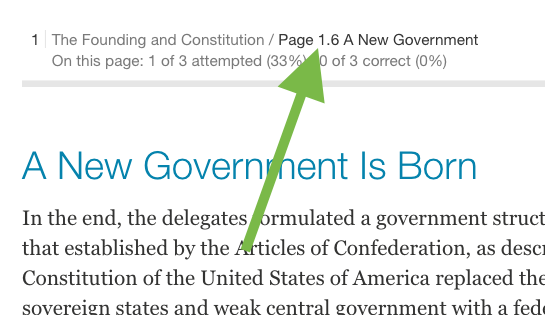 Even though our page numbers have dots in them, you still treat them like any page number when citing the webtext.